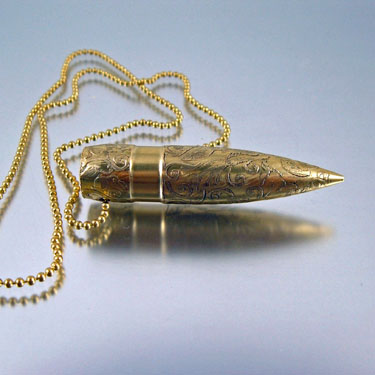 A .50 Caliber Bullet Necklace Pendant unlike you've ever seen before. 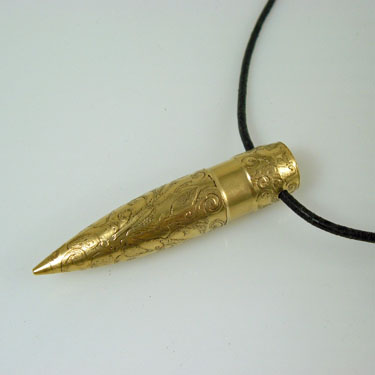 This is a .50 Caliber BMG solid banded bullet head; safe to wear and made entirely of brass. 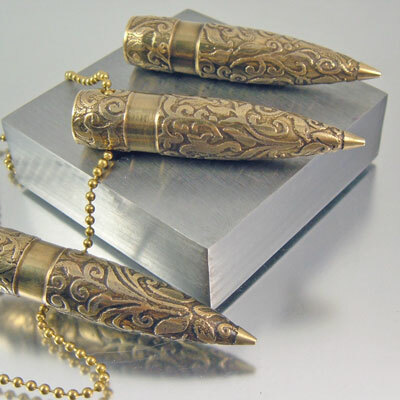 This new and innovated design is an original created here in my studio. 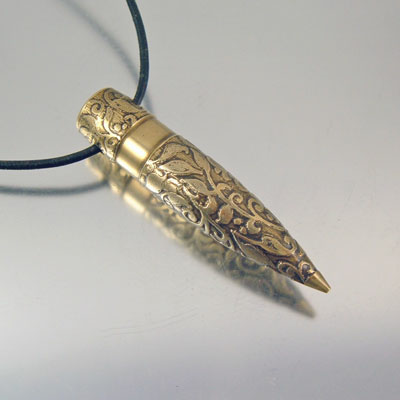 The original concept and design was released in June 2011 and remains extremely popular today. What you’re seeing is the first of its kind. Each is individually designd by hand and will differ slightly. You will not receive the one pictured but one which is similar. Each is a one-of-a-kind, no two will be alike. Some may have a darker patina than shown which produces a richer design contrast. 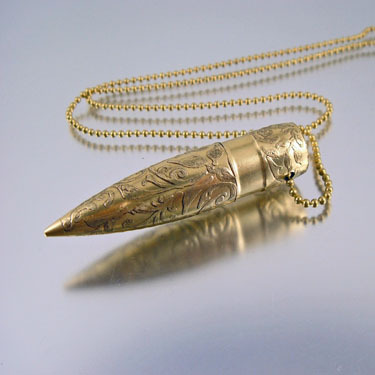 Please use the contact form if you're making an inquiry or wanting to custom order this design bullet pendant necklace with initials or a date. 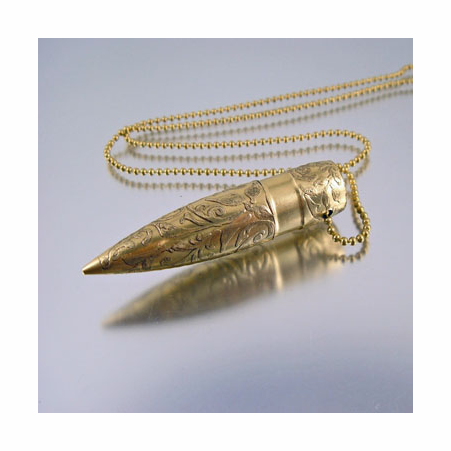 THIS PENDANT SELLS OUT FAST AND ON OCCASION BECOMES A BACK-ORDER - PLEASE ALLOW ADDITIONAL TIME FOR SHIPPING FOR CUSTOM ORDERS OR DURING A BACK ORDER.